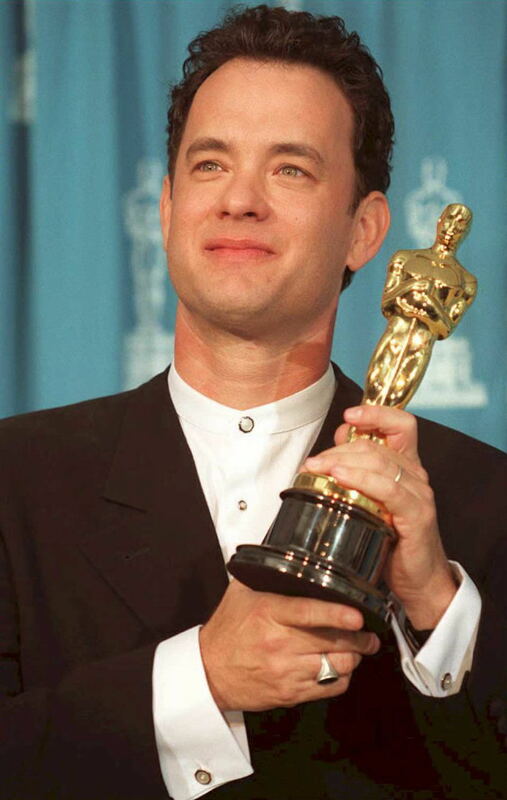 Discover A Trove Of Hollywood Treasures At The Motion Picture Academy Library Here, you can find the Cowardly Lion's mane, the designs for Scarlett O'Hara's drapery dress, and many other artifacts that reveal the history of the movie biz. Summer blockbuster season is upon us. Dinosaurs, little yellow minions, an ant-man, all vying for our hard-earned entertainment dollars. 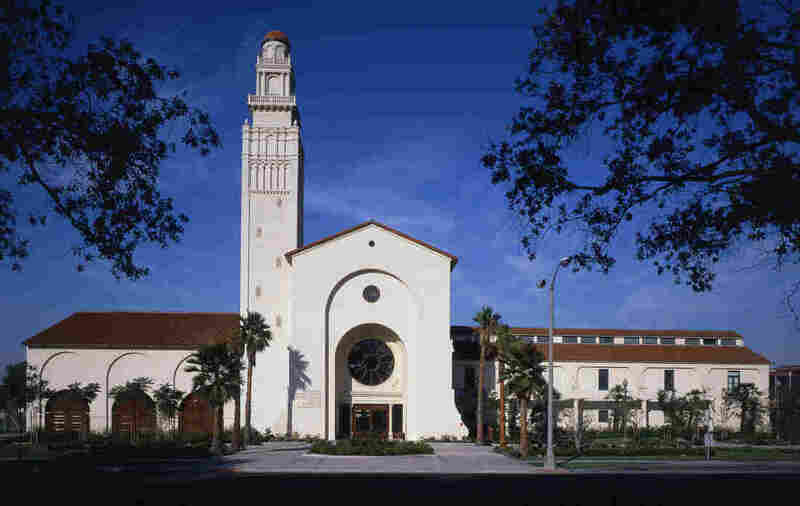 But if you're looking for gentler thrills, try the Library of the Motion Picture Academy in Beverly Hills. There, you can poke through artifacts from the movies' golden years. The Margaret Herrick Library's vaults contain millions of pieces of paper holdings — director's shooting scripts, photos, production designs, payrolls and, of course, fan mail. Seeing that ... I have seen your fantastically entertaining and award-winning film "The Sting," starring Paul Newman and Robert Redford, and enjoyed it very much, it is all together fitting and proper that you should "discover" me. Now, right away I know what you are thinking ("who is this kid? "), and I can understand your apprehensions. I am a nobody. No one outside of Skyline High School has heard of me. ... My looks are not stunning. I am not built like a Greek God, and I can't even grow a mustache, but I figure if people will pay to see certain films ... they will pay to see me. More of the letter — and the identity of the letter-writer in a moment — but first, let's dig further into the movie library's vault. Archivist Howard Prouty presides over shelves of studio art department records, contracts, production documents and ledgers — with handwritten entries of weekly salaries for everyone from electricians and messenger boys, to top stars. "We have payroll records from MGM in the 1920s that will tell you how much money Greta Garbo made in 1926, how much money Lucille Lesueur made in 1926 before she became Joan Crawford," Prouty says. MGM Studio head Louis B. Mayer made $2,000 a week. Greta Garbo? In 1926, just $400. "Greta Garbo was in the first year of her contract at MGM, so she was essentially on probation, to see if she was going to work out or go back to Sweden," says Prouty. 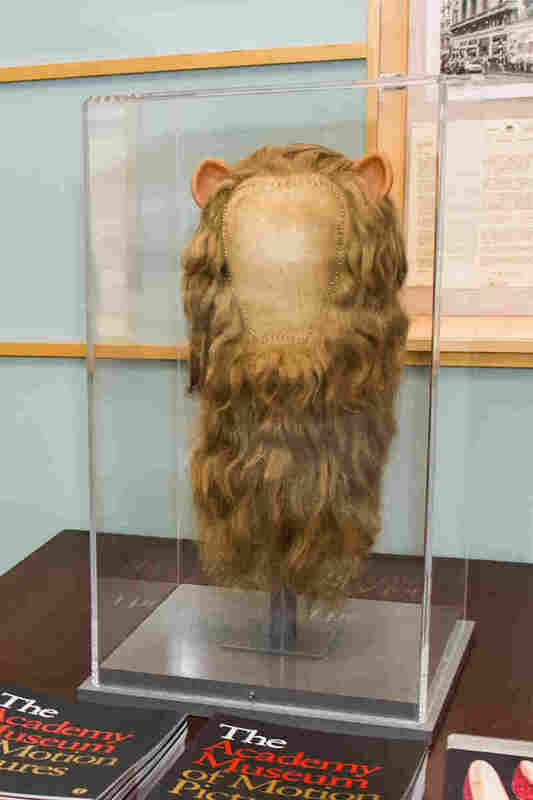 The Cowardly Lion's mane in Dorothy and the Wizard of Oz was made from real human hair. Let's work out the details of my discovery. We can do it the way Lana Turner was discovered, me sitting on a soda shop stool, you walk in and notice me and — BANGO — I am a star. Down the hall from BANGO boy, the film library has a large plexiglass box covered with a big piece of muslin, on which there's a sign that says: "Caution, lion inside." Inside the box is the Cowardly Lion headdress, with little pink ears and a mane and beard made of blonde human hair. The headdress was donated by makeup man Charles Schramm. In 1938 his job at MGM every morning was to turn actor Bert Lahr into a lion with bravery issues. The lion's wig, along with a pair of Dorothy's ruby slippers, will go to the academy's film museum, set to open in 2017. The museum will have costumes, too — and the Academy Library has sketches for those costumes. Graphic arts librarian Anne Coco pulls out a watercolor that costume designers consider the holy grail: It's the design for the famous "curtain dress" from Gone with the Wind. Scarlett O'Hara is out of money, has taxes to pay, and decides to ask her nemesis Rhett Butler for a loan. Scarlett knows she has to look terrific to call on him, so she pulls down the green drapes in her drawing room, and has them made into a dress. 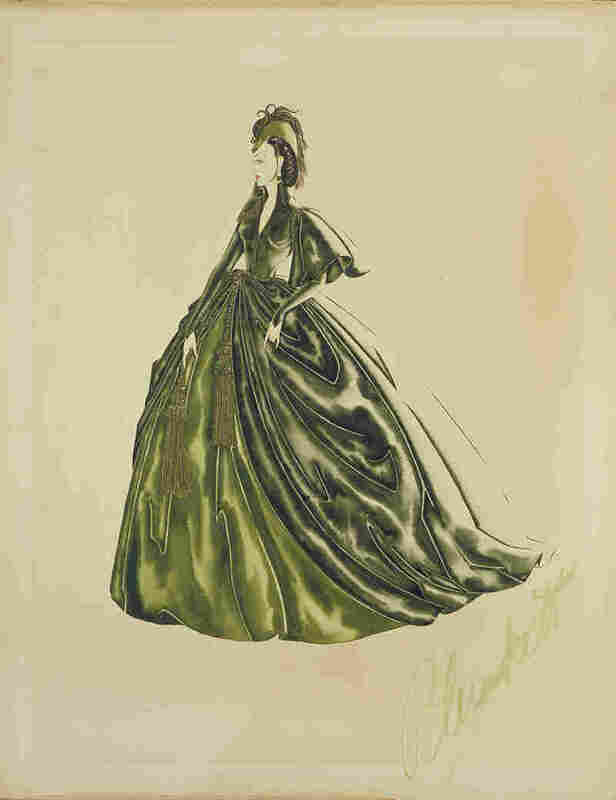 Costume designer Walter Plunkett made an intricate watercolor design for Scarlett O'Hara's famous curtain dress in Gone with the Wind. She looked great in the movie, but it took television to make the drapery dress a star. "In 1976 it really gained icon status when Bob Mackie did that very famous riff on it with Carol Burnett," Coco explains. In this bit, Burnett neglects to remove the curtain rod from the drapery, so her dress has extremely broad shoulders. "That dress is gorgeous," Harvey Korman as Rhett tells her. "Thank you. I saw it in the window and I just couldn't resist," Burnett replies. Costume designer Walter Plunkett's watercolor of Scarlett's dress omits the curtain rod, but librarian Anne Coco admires the elegant precision of the drawing of the fabric. Looking at the watercolor, Coco says, "I feel like you can brush your hand on it and it feels like velvet." BANGO! Things ultimately turned out OK for that young aspiring actor who wrote to director George Roy Hill, all those years ago. 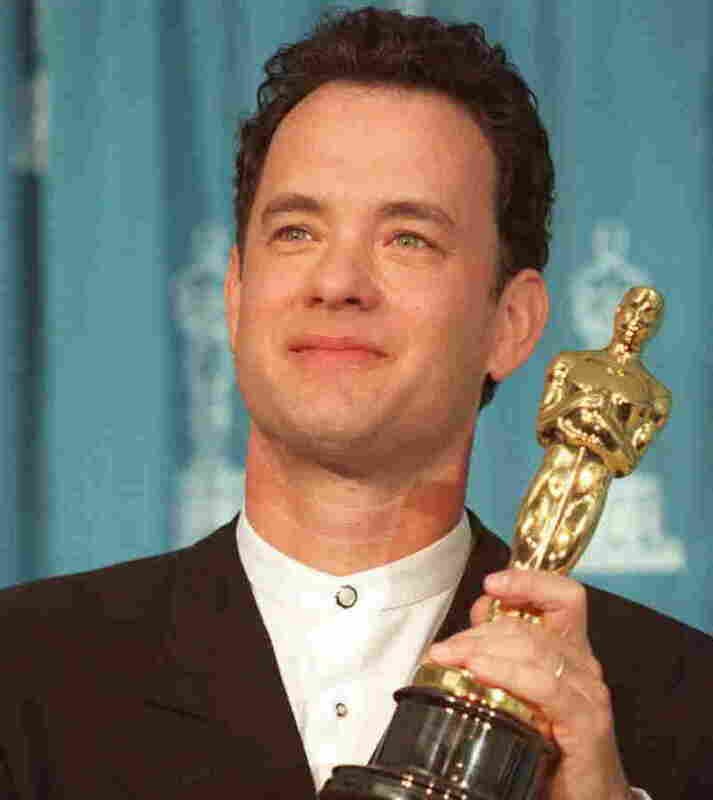 Thomas J. Hanks' letter, written when he was 18, illuminates a piece of movie history, preserved, along with millions of other film ephemera, at the Academy of Motion Picture Arts and Sciences Library in Los Angeles.